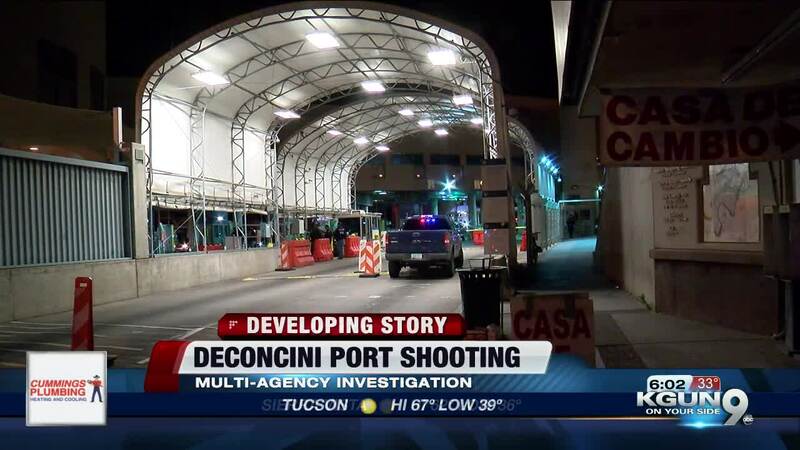 A Customs and Border Protection officer was involved in a shooting incident Thursday night, causing the the Deconcini Port of Entry to close. "A Customs and Border Protection, Office of Field Operations Officer was involved in a shooting incident on Thursday, February 7, 2019, at approximately 7:00 p.m. The shooting occurred at the Port of Nogales, DeConcini Crossing in Nogales, Arizona. A CBP Officer conducting outbound operations at the port attempted to stop a vehicle before exiting the country. The vehicle fled south, subsequently stopping several yards into Mexico. During this encounter, the officer discharged his firearm. The driver of the vehicle sustained a gunshot wound and was transported to an area hospital in Nogales, Sonora. The officer was not injured. CBP's Office of Professional Responsibility and Homeland Security Investigations are currently involved in the ongoing investigation. Further details will be provided as they become available. Outbound traffic, heading into Mexico is affected. Inbound traffic into the US remains open." Garino said he recieved a call about a person tried to run over a CBP officer going into Mexico. Garino was told that he was shot by CBP officer, and that vehicle's momentum caused it to roll into Mexico, where they were surrounded by border officers. Police encourage anyone going into Mexico to use the Mariposa Port of Entry. According to KGUN9 reporter Ivan Rodriguez, who was live on scene in Nogales, the port has reopened and investigators are on scene. The truck involved has also been hauled away into Mexico by municipal police, and the scene has been cleared.